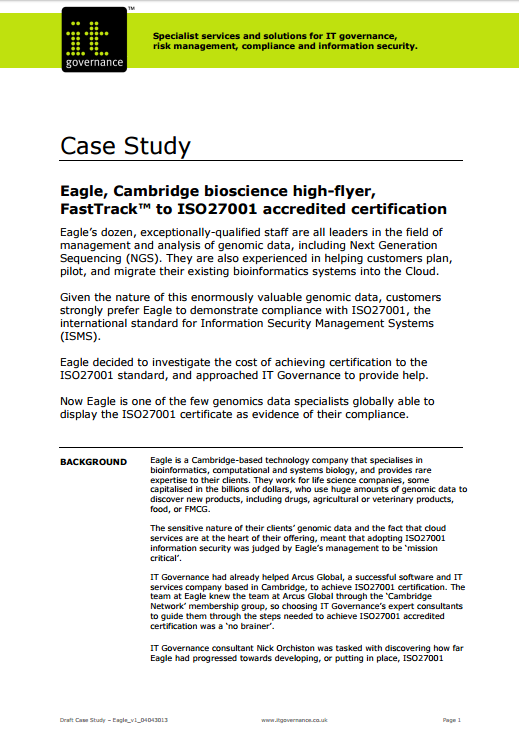 This case study illustrates how IT Governance helps small businesses with fewer than 20 employees quickly achieve ISO 27001 certification readiness – 100% guaranteed. How you can benefit from this unique ISO 27001 implementation service, delivered at a low cost and high speed, with minimal business disruption. Find out how a FastTrack™ consultancy project can work for you. To get a PDF copy of this case study, enter your details below and we will send it to you straight away. 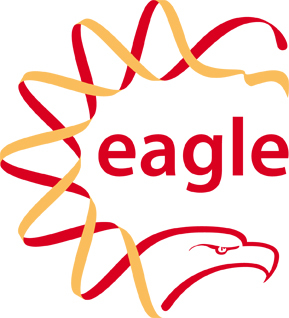 Just as we have helped Eagle to achieve ISO 27001 compliance and certification on time and within budget, we can help you. Call us now on 00 800 48 484 484.